On 9 April 2019, ERIAC was visited by the U.S. 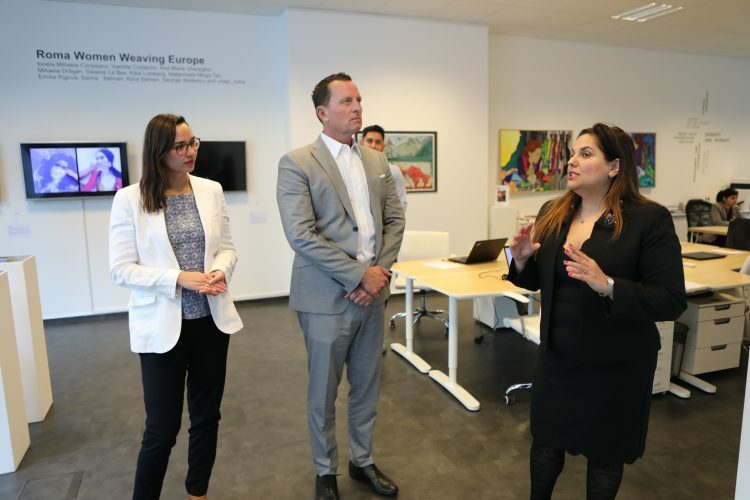 Ambassador in Germany, Honourable Ambassador of Richard A. Grenell, accompanied by Ms. Sandra Sebastian, a political specialist and Ms. Amanda Ahlers, second secretary of the Political Section. 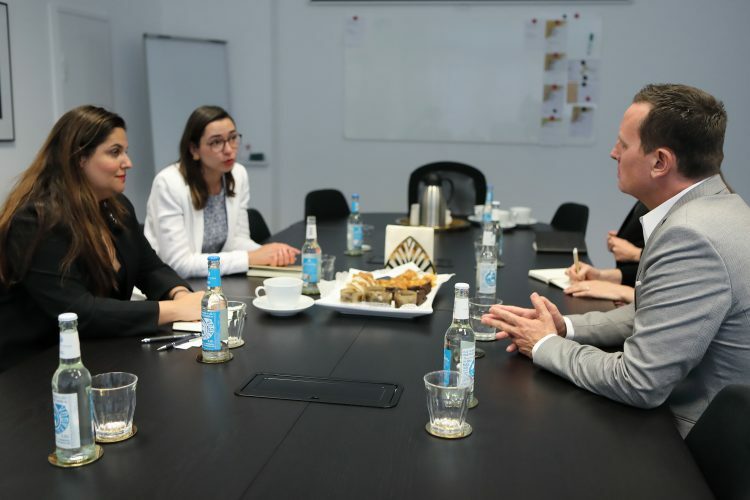 The meeting was organized in connection to the International Roma Day. 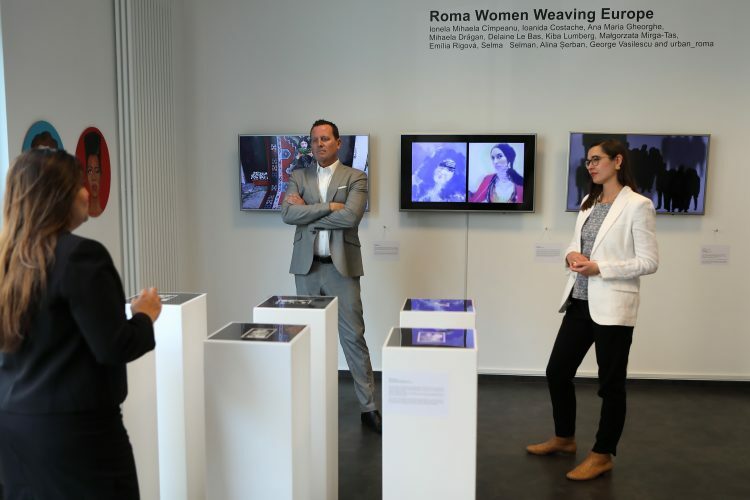 The meeting begun with the guided tour of the current ERIAC exhibition “Roma Women Weaving Europe – Roma feminist thought and contemporary art”. During the meeting, ERIAC presented the U.S. Embassy delegation with the process of ERIAC’s establishment and its historic character and discussed ERIAC’s activities up-to-date, including the international projects as well as the recent exhibitions and events. The U.S. 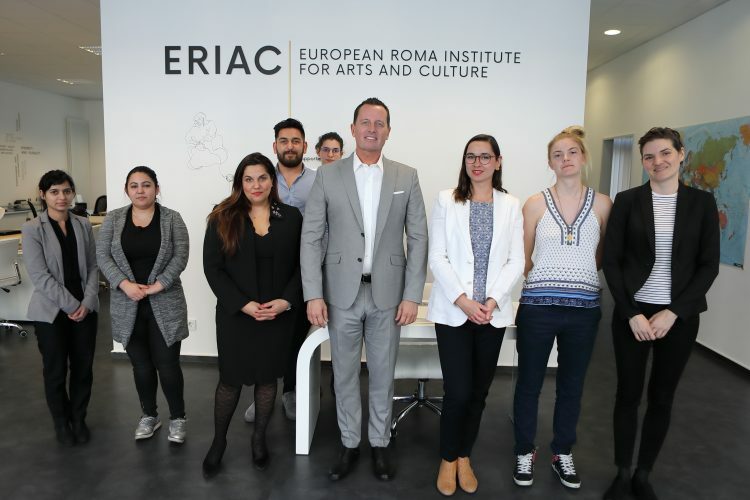 Ambassador Mr Grenell was also informed about ERIAC’s latest achievement – the Roma exhibition FUTUROMA, curated by Daniel Baker and commissioned by ERIAC, at the upcoming 58th La Biennale di Venezia from May 11th to November 24th, 2019. ERIAC discussed the plans for the near future and the possibilities for future collaboration with the US Embassy. The importance of building alliances across peoples and movements as well linking Roma communities in Europe and the US was highlighted.